Beautiful Country setting! 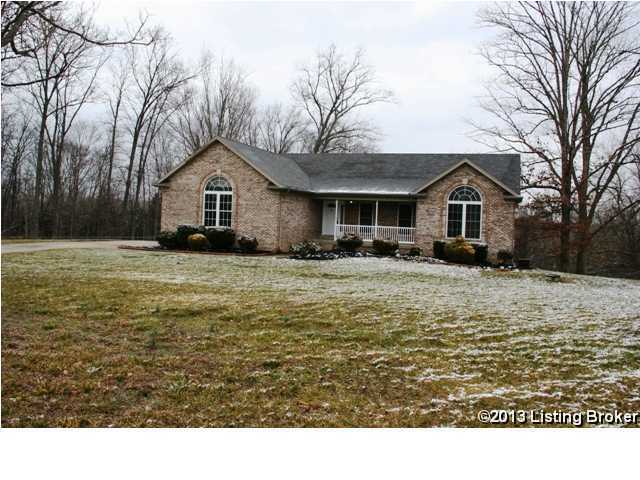 Wonderful walk-out ranch style home situated on a 1.21 acre lot. This very open floor plan with vaulted ceilings and ceramic tile floors featured in the large country kitchen with beautiful Maple cabinets and breakfast bar, pantry, refrigerator, range, microwave and dishwasher, adjoining living room is open to the dining area that has French door leading to a 10'x 21' covered deck. Large master bedroom offers 2 walk-in closets and full bath with a Jacuzzi whirlpool tub, separate 4'x5' shower all accented with ceramic tile. Large Family room in basement with beautiful stone fireplace. 6'x 20' Front porch and large back yard completely fenced. 325 Choctaw Ct, Mt Washington KY 40047 is a Home, with 3 bedrooms which is recently sold, it has 2,160 sqft, 167X268 sized lot, and 2 Car Garage,Attached,Driveway,Entry Rear,Entry Side parking. A comparable Other, has bedrooms and 0 baths, it was built in and is located at and for sale by its owner at $ 0. This home is located in the city of , in zip code , this County Other, it is in the Subdivision, and STONE MEADOWS are nearby neighborhoods.